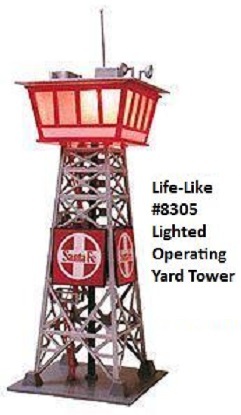 Life-Like Products LLC was a manufacturer of model railroad products offering over 300 items ranging from train sets, locomotives, rolling stock, track, structures, scenery, accessories and figures. They offered equipment in HO, N, 'O', and G scales. Their high end line of quality HO scale locomotives and rolling stock was marketed under the Proto 2000 name. The company was acquired by Wm. K. Walthers in 2005 and was operated as the Life-Like Toy and Hobby Division based in Baltimore, Maryland. It was founded in the 1950's by brothers Lou and Sol Kramer and was a company that pioneered extruded foam ice chests under the Lifoam trademark in Hunt Valley, MD. Their experience in the hobby industry began in the 1930's when they became interested in constructing model airplanes. With money borrowed from their mother, the brothers formed the Burd Model Airplane Manufacturing Co. and sold their own model airplane kits using balsa wood they would salvage from discarded banana crates. As the business grew, their line had expanded to include more than 200 different kits. America's entry into World War II put a halt to their production as they could no longer get materials like balsa wood and rubber bands to produce their kits. Following World War II, the focus of the business shifted from manufacturing to distribution and Kramer Brothers Hobbies was created to sell items like model cars and fishing tackle. They also began making items like model trees and grass mats under the name Life-Like for the first time. Another product that they introduced was dyed lichen moss for use as a scenery material, imported from Norway. The Kramer brothers formed a silent partnership with Lou Glaser and his Revell injection-molded plastic model company in Venice, California. The company's breakthrough came in 1953 when Revell offered a scale model kit of the USS Missouri, the battleship where the Japanese surrender that eneded World War II was signed. Revell briefly manufactured its own line of HO scale model trains beginning in 1956. The Kramer brothers sold tunnels for toy train layouts as part of their Life-Like line. The original supplier was making the tunnels from papier mache, but was unable to deliver on a consistent basis. At the same time, they learned about a German manufacturing process to mold expanded polystyrene foam into shapes that could later be painted and decorated. They imported the technology and began making tunnels out of the polystyrene foam. According to son Jay Kramer, workers at the factory discovered the insulating properties of the foam tunnels could be used to keep their lunches hot or cold. Soon after, the company began producing foam ice chest coolers under the Lifoam name in 1954. Under the ownership of Sol Kramer, Life-Like purchased Varney Inc. in 1960 and began to produce the former Varney HO scale train line as its own. In 1963 Kramer acquired the dies for all of the Penn Line HO scale rolling stock, diesels and the GG-1 at the Penn Line bankruptcy auction. The Varney name was retained through 1970 when the company released a GG-1 in HO that was from original Penn Line molds. The GG-1 model had a $35 retail price tag. Finally in March 1970, the company name of Life-Like was adopted and the first advertising for Life-Like trains appeared in Railroad Model Craftsman magazine. The Life-Like line quickly expanded to include trains, track, structure kits, and accessories. A Varney carry-over for a brief time issued in the Life-Like line was an SW7 switcher that retailed for $14. It was available in B&O, New Haven, Santa Fe and Southern Pacific liveries. All Life-Like HO scale streamlined passenger cars were also graduates from the Varney train line and their heritage was obtained by Varney from Penn Line. These streamlined passenger cars were shorter than prototype as was common practice among HO manufacturers. The majority of Life-Like production of the passenger cars were in the Amtrak roadname. During the early 1970's, Life-Like imported a number of locos from Yugoslovia. The Alco center-cab Century 415 switcher and 628 diesel, as well as an Alco RS-11 diesel were all Yugoslovian-made examples. The European-made HO scale RS-11 was another Varney carryover having started its career in the US in the Varney line and later into Life-Like's offerings. The Century 628 retailed for $20 and was listed as available initially dressed for Monon, Delaware & Hudson, and Union Pacific service, plus an undecorated version. The Life-Like RS-11 carried a suggested retail price of $14.00 in the early 1970's. 1970 also saw the release of a Teakettle 0-4-0 steam engine in Baltimore & Ohio road name. The 1970 Teakettle carries product #300 and a $10 retail price. The Life-Like 1970 catalog included a 4-6-0 Casey Jones steam engine in both Denver & Rio Grande and Pennsylvania livery that was a Varney carry-over and carried a retail price of $28 for the ready-to-run example. In 1972 they came out with an A-3 Shunter 0-4-0 steam engine in New York Central, Pennsylvania Railroad, and Southern Pacific livery, that was also produced in Yugoslovia for Life-Like. The retail list price for this HO scale steam locomotive was $10. In 1973 they released an HO scale 'Little Joe' Dockside 0-4-0 switcher steam engine in Baltimore & Ohio, Pennsylvania Railroad, and Santa Fe RR livery that came from original Varney tooling. The 1973 retail price for this Dockside 0-4-0 was $10. It did not last long in the Life-Like line however as Bowser Mfg. eventually acquired the original Varney tooling for the Casey Jones, Old Lady, Dockside switcher, box cars, reefers, most of the Aero Train and the former Penn Line GG-1. At the 1973 Chicago Hobby Show Life-Like unveiled a 4-6-2 Pacific steam loco & tender in Atlantic Coast Line road name. It was followed up with Baltimore & Ohio, Missouri Pacific, and Western Maryland versions. The 1973 retail for this model was $35. In 1973, Sol Kramer approached industrial engineer Wai Shing Ting to help produce a source of electric motors for his model trains. They launched Sanda Kan as a joint manufacturing venture in Hong Kong. Sanda Kan later expanded into all aspects of manufacturing model trains and accessories for Life-Like, as well as other companies including Atlas Model Railroad, Lionel, and M�rklin. Sanda Kan was later acquired by Kader in 2008. In 1974 Life-Like advertised an Old-timer 4-4-0 steam engine in the B&O roadname. It carried a $32.50 retail price tag in the 1974 catalogue, however, there are no known examples of this locomotive in existence. The 1970's saw the release by Life-Like of an F-7A diesel, that had a long life span in the product line, with over 24 different road names being produced. The F-7 tooling originated in the early 1960's with Penn Line. An F-9A followed shortly thereafter. The Life-Like F-9A carried a $14.00 retail price and appears to have been issued as a powered loco only. Life-Like gave the F-9A diesel the stock number T233. Life-Like's HO scale GP38-2 diesel arrived in 1976. Through 2005 it was produced in 18 different road names. It came in both high nose and low nose versions. This model is given credit as offering the first HO scale examples of the EMD Blomberg M truck and a 'Dash 2' bodystyle in plastic. An EMD F40PH Diesel also made by Mehano in Yugoslavia was introduced in the 1978 catalogue. It was initially available in 2 roadnames (Amtrak and Regional Transportation Authority) but over its life through the 1980's was issued in many more. The F40H diesel came in Burlington Northern, Union Pacific, Amtrak, Cal-Train, Canadian National, Go Transit, MBTA, Metra, NJ Transit, Nortran, RTA, Santa Fe and Rock Island liveries. It's retail price was $18. A mid 1980's Life-Like catalog includes item #8664, which is a dealer F40PH Locomotive Assortment. This #8664 assortment included six F40PH's with free Cabooses. In the 1980's Life-Like released a 2-8-2 Mikado steam engine in Pennsylvania and Santa Fe liveries, a Union Pacific 2-6-0 steam engine, an 0-4-0 steam engine with tender in Union Pacific and PRR liveries, and an FP45 diesel locomotive made in Yugoslovia by Mehano. The FP45 was available in B&O, Chessie System, and Pennsylvania road names, plus and undecorated version. The base tooling for the Mikado 2-8-2 was similar to the 1970's issued Life-Like 4-6-2 Pacific model. This loco is included in an upscale assortment of items under the Scene Master name. The catalog states that the Scene Master is, "A new line of products with the craftsman in mind." The company liked to pair and package both an engine and caboose, painted in a single road name, together in sets to stimulate sales. In 1981 Life-Like began including two free collector cards in each locomotive box. One was the Loco Report and the other was a Tips series card. The Century 628 diesel made a return run in the Life-Like line in the middle 1980's in Burlington Northern, Lehigh Valley, and Santa Fe liveries, as well as an undecorated model. Primarily known for its line of HO scale train sets, Life-Like was considered to be a 'down-market' supplier of inexpensive less detailed trains. Looking to expand into the world of scale model railroading, the company put together a plan to manufacture models with more accurate and fine details as well as an improved motor drive, with a reasonable increase in cost. In 1989, Life-Like introduced the Proto 2000 line of finely detailed HO scale diesel locomotives. The first offering was the Proto 2000 BL2. The release made a big impact on the hobby of model railroading, as it was the first serious attempt by a manufacturer to mass-produce an accurate ready-to-run model of the rare EMD diesel locomotive. Like most Proto 2000 models, this locomotive had two variations, both came in boxes that had the frame with the drive line separated from the body shell, each in its own compartment. The shell was almost the same on both. It was the proper width, had the steps on the doors as well as all grab irons with vibrant paint. The main differences were that the Mark I version had sunshades that attach with a cured looking bar. These shells, like the rest of the shells on these locomotives, set a new standard for detailing. The Mark I version came in an olive green box and was a direct copy of the Athearn blue box system including a flywheel and a standard Athearn motor. The second release of the Proto 2000 BL2 came in a Blue-Green box and featured an updated motor. The Proto 1000 line was later created to produce a line of trains that would compete against other mid-range products like those made by Athearn and Wm. K. Walthers. Life-Like locomotives and freight cars were said to be the best detailed for their price class, and even older, used examples are in high demand by hobbyists. Parts are readily available as the earlier drive systems are clones of Athearn drives and later drives are Kato clones. Some early Proto examples such as the EMD BL2, GP18, and GP20, and Alco F-A2 were plagued with the axle gears cracking, causing the unit to run erratically or with loud 'crunching' sounds. The company honored its lifetime warranty on these units; one needed only to contact the company to obtain free replacements. Life-Like expanded into and began marketing a number of N scale items in the early 1970's that were made overseas by Mehanotehnika. This included an SD45 diesel, GP40 diesel, and 0-6-0T steam switcher. In the 1980's, Life-like offered an Alco FA2 also made by Mehanotehnika. In the 1980's, Life-Like produced a range of models for the South African market competing with Lima. Similarly, unique models of Australian rolling stock were also produced, and only distributed in that country. Also not available in the United States, was a Life-Like HO scale F7-A dressed for Austrailian National service. Life-Like over the years had offered a variety of HO-Scale and N scale trains that were exclusive to markets outside of the US. 1989 brought their N scale GP38-2 which was made in China. The N scale F7A followed in 1990. These two locomotives started Life-Like's new line of locomotives. A complete new line of freight cars was also introduced. Starting in 1996, Life-Like began releasing HO scale freight cars under the Proto 2000 banner. These cars featured the same level of detailing as their locomotive counterparts. Complaints were received from various modelers as the small detail parts were easily lost or broken, so Life-Like offered the cars in kit or ready-to-run form. The Proto 1000 line detailing was not as extensive as with the Proto 2000 line (as an example, details like grab irons or uncoupling bars were not included) so as to provide a model that was more resilient to handling by, and more attractive at lower price to, less-experienced modelers. However, the line included the proven smooth Proto 2000 drive, and the models would run as well as their better detailed, more expensive Proto 2000 cousins. Models released under the Proto 1000 line include the Budd RDC-1, Alco RS2, and EMD F-3 in A and B configuration. The Canadian distributor for Life-Like products, Canadian Hobbycraft, saw a missing segment in the HO scale market for Canadian model prototypes. Working with Life-Like, models like the Fairbanks-Morse C-liner(CFA-16-4) and MLW RS-10 and RS-18 were made available. Oddly, these models feature the fine detail of Proto 2000 models, but were badged under the Proto 1000 line. With a few modifications these models were offered in the US market with US roadnames, and in the case of the RS-10/RS-18, the tooling modified to produce the US version, the Alco RS-11. 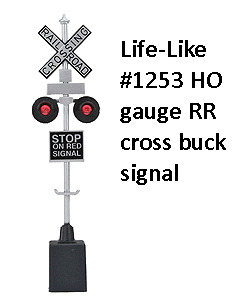 For most of their production history through the 1990's, the Life-Like locomotives and rolling stock were equipped with the traditional horn-hook couplers that were utilized on some of the HO locomotives and rolling stock made by other manufacturers, making Life-Like one of the few HO model railroad manufacturers to have offered trains with horn-hook couplers. In latter years, the Life-Like products were updated with Kadee-compatible knuckle couplers. Life-Like took the tooling for three of their former train set line freight cars and upgraded the tracking capabilities to match Proto 2000 standards. Along with Kadee-compatible couplers and upgraded paint schemes, these inexpensive cars are popular with model railroaders for their smooth tracking and low price point. Sol Kramer was inducted into the Hobby Manufacturers Association Model Railroad Hall of Fame in 1998. In 1999 the Proto 2000 Heritage Steam Collection based on a wide range of American steam locos debuted. Life-Like also produced an extensive line of hobby kits. The Kramer family sold the business to private interests in 2000. Lou Kramer passed away in 2003. In 2004 Life-Like re-introduced the HO scale Alco RS-11 road switcher as part of the Proto 1000 line in a a ready-to-run model that was made in China. It came detailed with dozens of individual parts that Life-Like formerly omitted on its more spartan Proto 1000 models. The new RS-11 included factory applied details like grab irons, lift rings, multiple-unit hoses, and tiny handles on all of the hood doors. These details were neatly applied, had fine cross sections, and were either molded or painted in the prototypical colors. The RS-11 was essentially a ready-to-run model, requiring only some minor assembly of removing two plastic shipping blocks and installing couplers and sun shades. The locomotive was equipped with a five-pole, skew-wound motor and dual brass flywheels mounted on a zinc-alloy chassis. A small printed-circuit board above the motor controled the directional lighting and included seven soldering pads for installation of a Digital Command Control (DCC) decoder. In 2005, the parent company, Lifoam Industries, LLC, decided to concentrate on their core products of extruded foam and sold their model railroad division and operations to Wm. K. Walthers. With Walthers' purchase of the company, the Life-Like lifetime warranty continued to be honored and as before, contacting their Customer Service Department would yield free replacements. Successor Wm. K. Walthers continued to offer less-expensive train sets under the Life-Like brand name. These usually came with their Power-Loc brand of integrated roadbed track. This system originated in 1996 as the first HO track system that connects without the need of traditional rail joiners. Instead of pushing the ends together like most other tracks, the track pieces snap together sideways. Walthers also continued to make the Life-Like action accessories such as the operating log dump station and car, the railroad crossing with operating gates, the building kits such as the snap-together train station or the older Trackside Shanty kits, and additional accessories such as autos, trees, figures, signs and utility poles. Most locomotives offered by Walthers in these sets are either the Life-Like high-nose or low-nose EMD GP38-2, EMD F7, EMD F40PH, or 0-4-0 steam locomotives with tender, and roadnames include Santa Fe, Union Pacific, Chessie System, and Amtrak. In 2011, the entire Life-Like Proto series was renamed Walthers Proto. The locomotives issued now featured optional Soundtraxx Tsunami sound capabilities and were equipped with mechanisms called Walthers Proto Drive that featured helical cut gearing. Sol Kramer passed away in 2013.